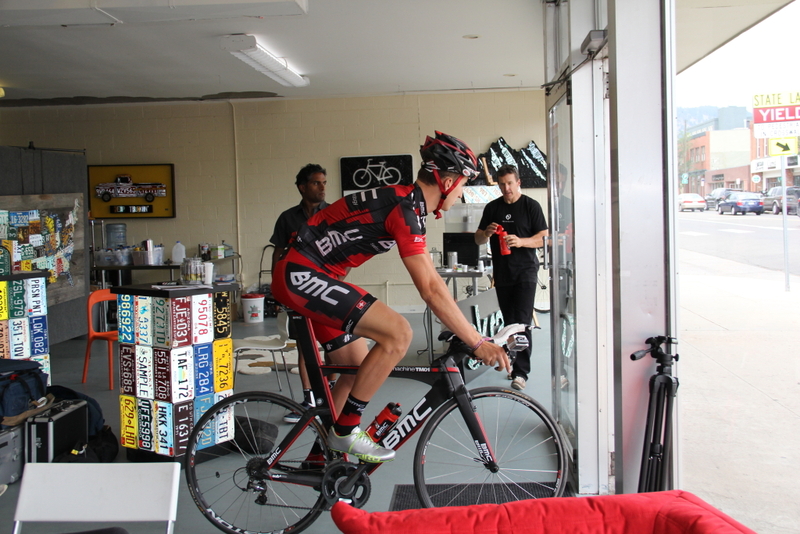 Taylor Phinney of BMC Racing Team regularly opens the door into his professional and personal life via Twitter, his website, and interviews. In late June he opened the door to his 2012 Olympic preparation during a press conference in Boulder. He wore for jewelry a black woven bracelet on his left arm and a lacy pink bracelet on the right. 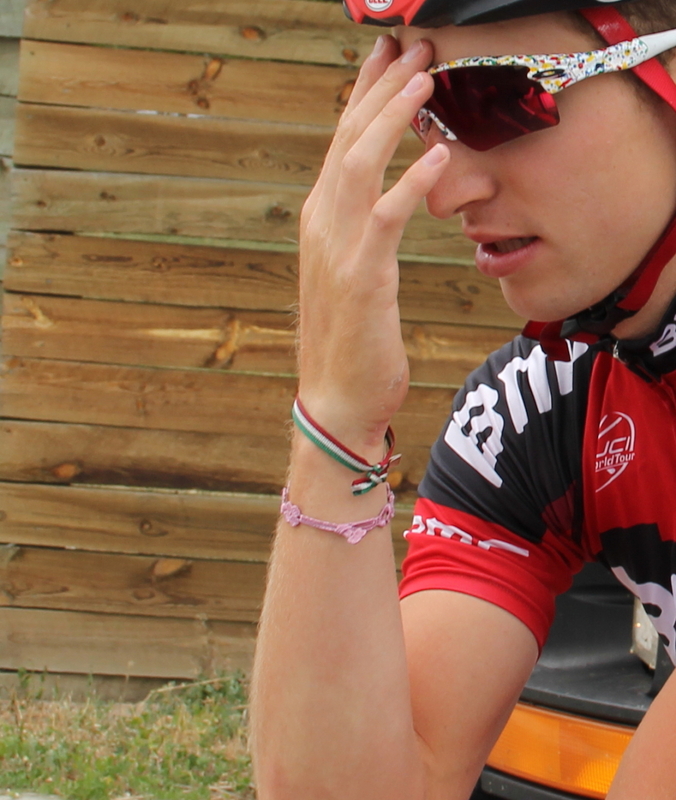 Max’s daughter gave him the pink lacy bracelet. Q: What passions do you have outside of the bike? Phinney has donated to the Davis Phinney Foundation in the past; he recently provided pink jerseys for the foundation to auction off for fund-raising. In early June Phinney participated with his dad Davis, mom Connie, and sister Kelsey in the Road to Victory Bicycle Classic, a ride around Boulder, Colorado that benefits the foundation, whose mission is to improve the lives of people living with Parkinson’s. Q: What foods tempt you? Phinney first responded to this question on the June 3rd TourChats web show where he mentioned American food, specifically hamburgers and chili cheese fries. 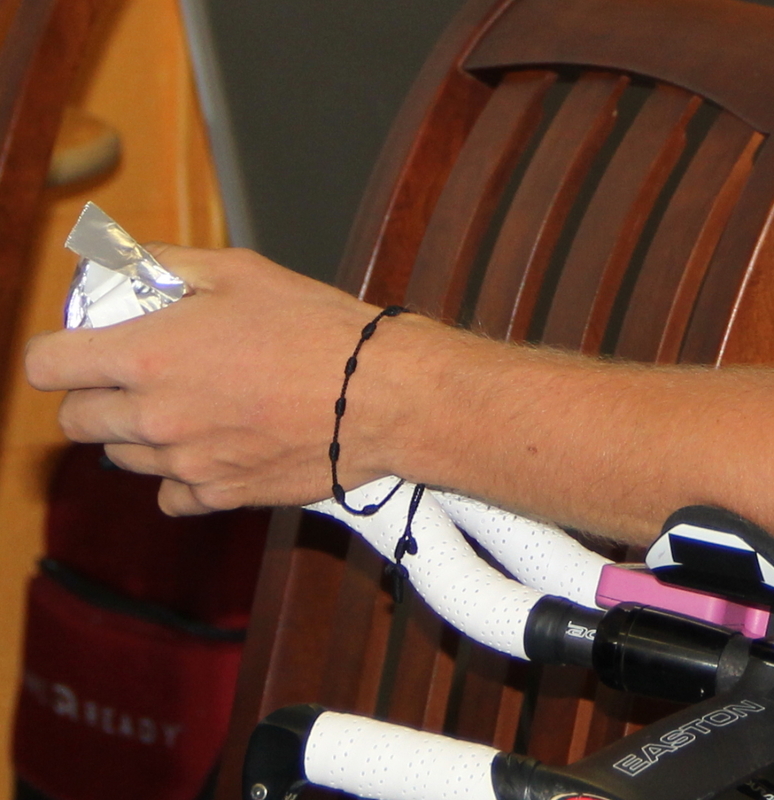 As his cousin wrapped apple fritters for Phinney at Skratch Labs on the day of this interview, she mentioned Taylor prefers his training rice cakes with pieces of fruit. 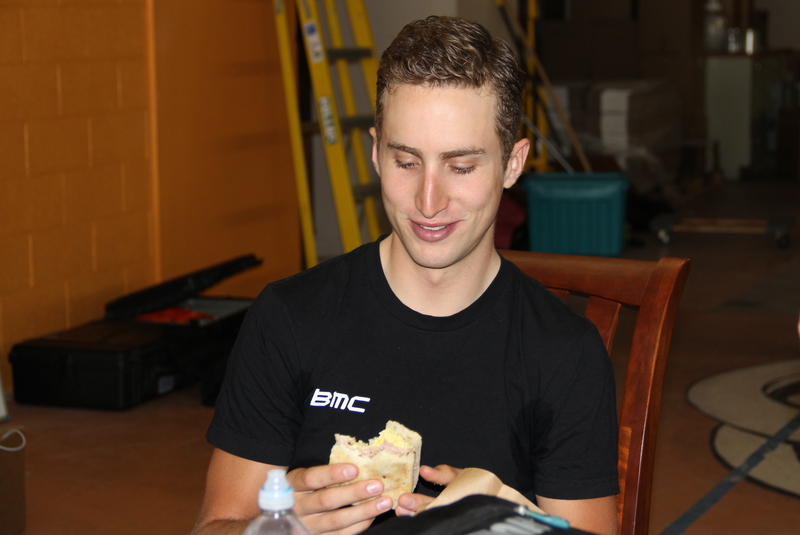 Recently Phinney tweeted about his favorite sandwich from Dish Gourmet in Boulder. 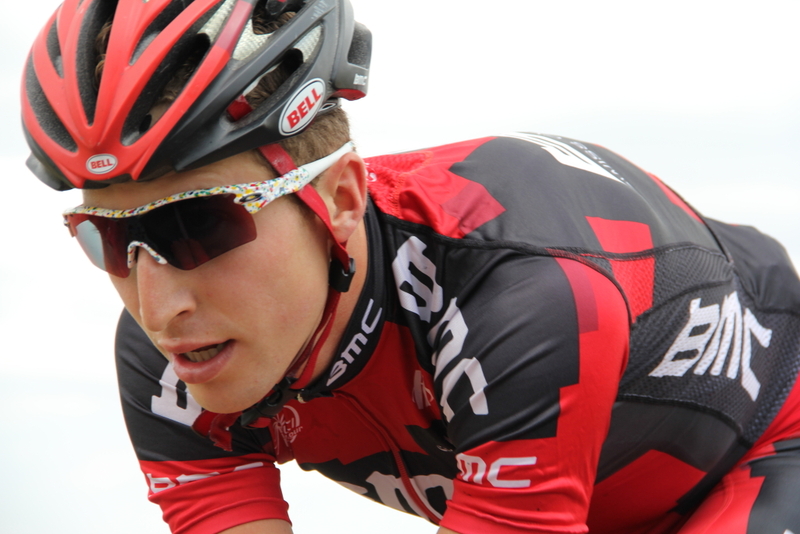 It’s now named the “Phinney Benny” in honor of Phinney as he prepares for the 2012 Olympic road and time trial races. The “Phinney Benny” is a breakfast sandwich with two fried eggs, spinach, parmeggiano grana, house roasted tomatoes, and garlic aioli on foccia bread. Currently 10% of sales of that sandwich go to the Davis Phinney Foundation. If Phinney medals, the restaurant will match the amount raised through sandwich purchases. Q: Why is it so hard to balance romance and racing? “Well, you gotta find a girl – at least I gotta find a girl, that really understands what I do, understands the fact that I have to go to Europe and race my bike. For a lot of people in general, a lot of people who are outside of the sport don’t really understand [my lifestyle] fully. And it’s a tough balance because it would have to be relatively long distance and that takes a lot of time and energy and is also difficult. When asked to further explain why he “didn’t ride my bike very well last year,” Phinney said, “She [girlfriend] would want to go shopping and go to the beach and go to Florence. She came and spent a lot of time in Italy with me…I was a little bit more focused on trying to make sure that she was happy and less focused on doing my job. Just like his tremendous capacity for speed, it appears Phinney possesses a tremendous capacity to love, which fundamentally means giving of self. It’s just a guess, but perhaps to thrive even more he needs to also be on the receiving end. He’ll get a huge helping of love from his family as he prepares for the Olympics — he’s staying with them in Boulder. Why not supplement that? Love is in the air for you, Taylor Phinney.